As far as books go, cookbooks lead interesting “lives.” The majority of books sit on the shelf, only to be read once or twice (maybe more if it’s a favorite). Cookbooks, especially the good ones, are opened on a regular basis. They are used and sometimes abused. They are splashed on and mucked up, tattered and annotated. They have personality. Holding a well-used cookbook feels intimate to me, like I am somehow cosmically connected to the people who have owned it. Recently I held a cookbook in my hand that led me all the way back to one of my personal culinary heroes. The experience affirmed my suspicion that cookbooks are much, much more than bound collections of recipes. They can unite people across time and space, connecting us through our universal and primal desire for a well-cooked meal. The journey started on a sunny afternoon in September. I’d just attended my friend’s bridal shower in Little Tokyo and had a few spare hours to walk around downtown Los Angeles. I live in the city, but like many Angelinos I rarely make it to downtown proper. The chance to explore was a treat, and I knew exactly where I wanted to start– a small vintage bookshop called Caravan. 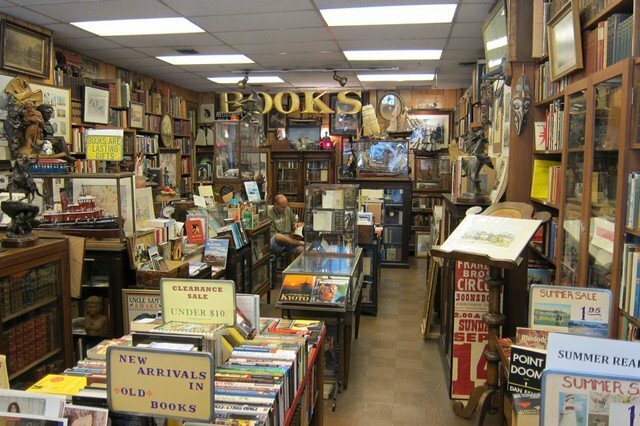 The store was established in 1954 and is one of the few vintage and antiquarian bookshops in Southern California, owned and run by a second generation bookseller named Leonard Bernstein (no, not that one). 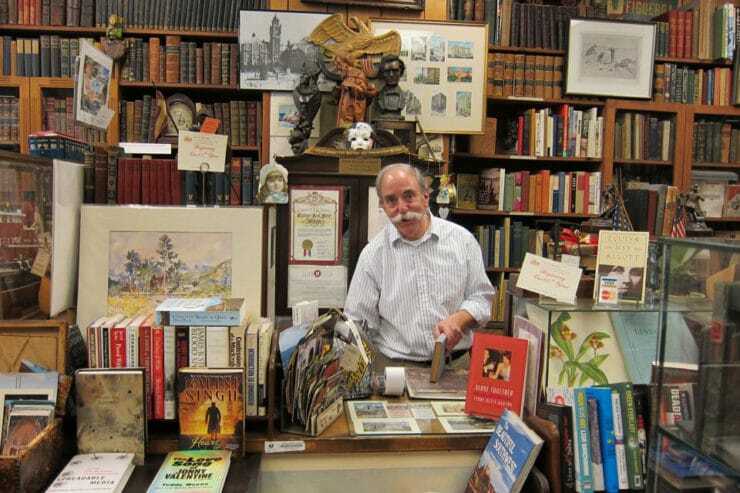 Caravan just celebrated its 60th anniversary, and Leonard continues the proud bookselling tradition that his parents established decades before. The store is small, crowded, cozy. In every nook there is something to see, from gently used books to antique treasures, sculptures and model ships, clocks and documents, maps and portraits and paintings. 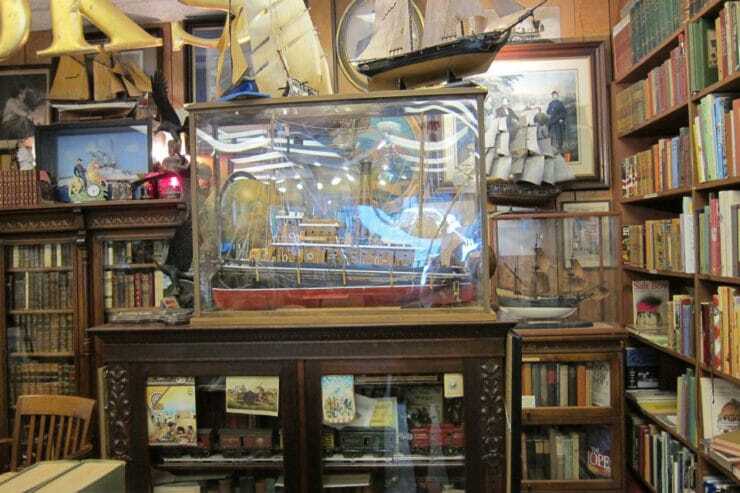 There is a varied selection of books to choose from, including special sections for early Los Angeles history, Abraham Lincoln and maritime history. I introduced myself to Leonard, who has run this shop for many years. The room seems like an extension of him, as much a part of Leonard as his bushy gray mustache. There was one other customer in the shop, and as luck would have it he was also a cookbook enthusiast. We spent the greater part of an hour talking with Leonard about culinary literature and rare food books. Leonard really knows how to tell a story, which is not surprising considering he’s spent the greater part of his life dealing in books. While we talked, I learned that his shop had been chosen to sell many of the books in the collection of legendary food writer M.F.K. Fisher after she passed on. When word got out, food lovers flocked to the shop to buy her books, including L.A. Times restaurant critic Jonathan Gold. According to Leonard, former President Jimmy Carter walked into the shop on the same day Jonathan did, but Jonathan wasn’t impressed—he was too absorbed in M.F.K. Fisher’s books to notice! Ex Libris Anne Willan – from the library of Anne Willan. At that point, Anne and I knew each other a bit through phone and email conversations. We both volunteer for the International Association of Culinary Professionals, and we have found ourselves involved in more than one email chain during the past year. 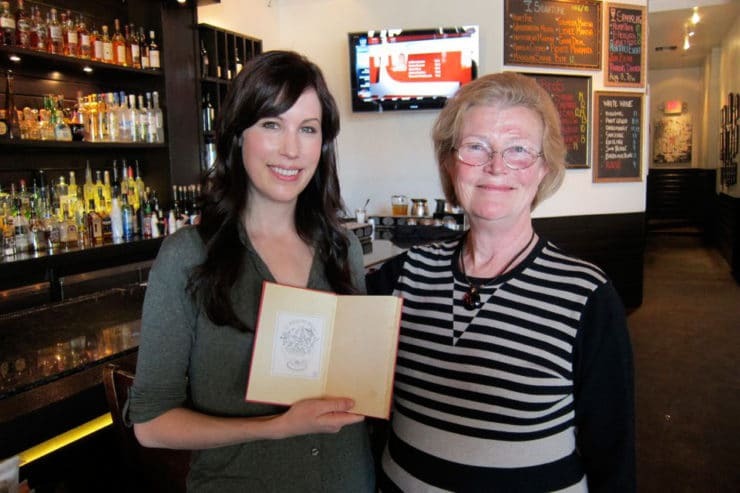 I met Anne very briefly at a signing back in 2012 for her book The Cookbook Library, which explores four centuries of European and early American culinary literature. As you might imagine, I am a great fan of Anne’s work; in fact, a few weeks prior, her publisher had sent me a copy of her new memoire, One Soufflé at a Time. I was in the middle of reading it when I took that fateful trip to Caravan bookshop. 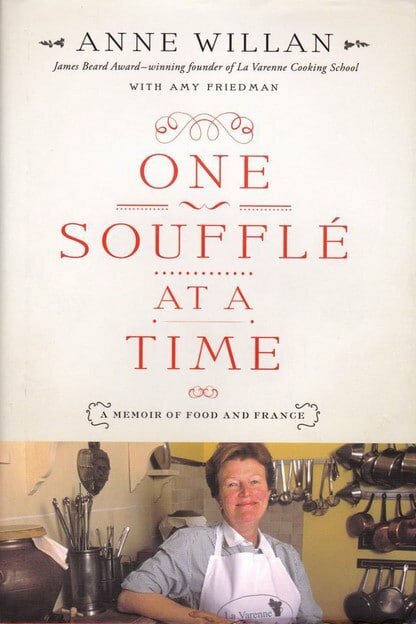 One Soufflé at a Time documents Anne’s journey from Yorkshire to France, as well as the opening of her now famous cooking school, La Varenne, in 1975. As a graduate of Le Cordon Bleu, Anne had been disappointed in many aspects of the impersonal and male-dominated French cooking school. She opened La Varenne to offer students a more personal and nurturing experience. Like her friends Julia Child and Simone Beck, Anne’s goal was to shine light on the mystery of French cooking and share the techniques with a larger audience. She would eventually do just that, training an impressive list of chefs and food writers who helped to spread French cooking to the masses. I look up to Anne for so many reasons, including her dedication to education, her encouraging attitude, and her passion for culinary history and historic food books. 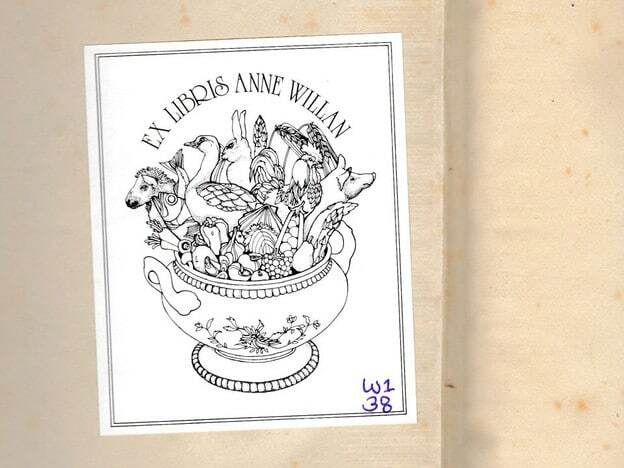 You can understand why my heart skipped a beat when I saw the bookplate, Ex Libris Anne Willan. The cookbook gods were smiling on me that afternoon. Not long after I acquired her books, Anne and I made plans to discuss a new committee for the IACP Historical Cookbook Award. We met in West Los Angeles at a cute little café where we both ordered Curry Chicken Salad. Over lunch and a glass of wine (the French way, of course! ), I pulled out one of the books I’d purchased and showed her the bookplate. Her eyes widened in surprise. I asked if she knew how the book made its way to Caravan. Anne said that when she and her husband moved to the U.S. from France, they’d decided to sell part of their massive culinary book collection. She wasn’t exactly sure how these particular volumes had gotten to Caravan, but she was delighted that they had found their way to me. The following week, Anne invited me to her home to view her extensive historical cookbook collection. We had tea in her kitchen along with a freshly baked batch of petits financiers. The browned butter almond pastries filled her house with a warm and welcoming aroma. I’d read about these pastries in One Soufflé at a Time; she served them to New York Times restaurant critic Craig Claiborne when he first came to review La Varenne. The gold bar-shaped pastries must bring about good luck, for he gave La Varenne a glowing review, the first of many the school would receive. After tea we washed our hands and made our way to Anne’s cookbook collection. 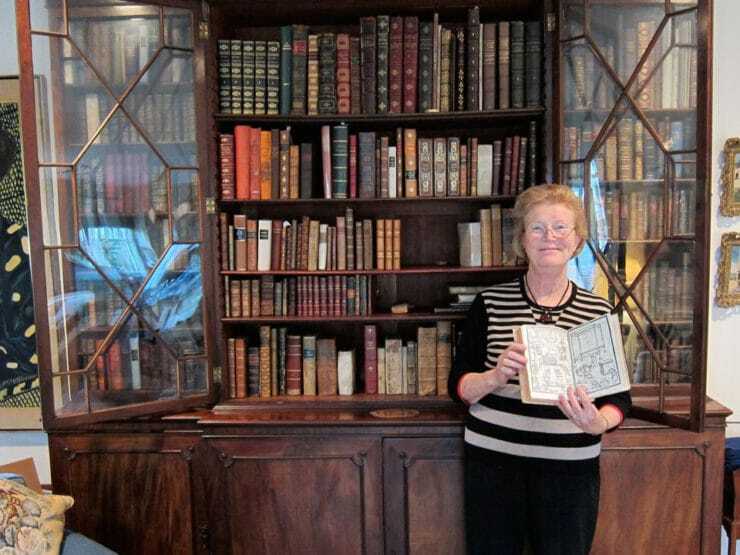 Anne and her husband Mark Cherniavsky have been collecting rare antiquarian culinary books for decades. Their collection is large and fascinating, featuring titles dating 1491 through 1830, from The Opera of Bartolomeo Scappi to Le Cuisinier to The Forme of Cury. 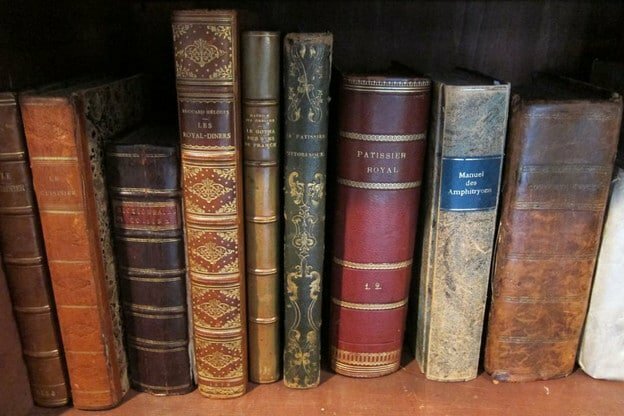 Anne has a rare and precious library at her fingertips, books from the time of Shakespeare and from the year that Christopher Columbus set sail for the New World. She is able to hold these volumes in her hand and directly consult these precious primary sources whenever she pleases. If cookbooks have lives and personalities, imagine the lives these books have led. Imagine the centuries of cooks we are cosmically connected to when we carefully browse their delicate, age-worn pages. 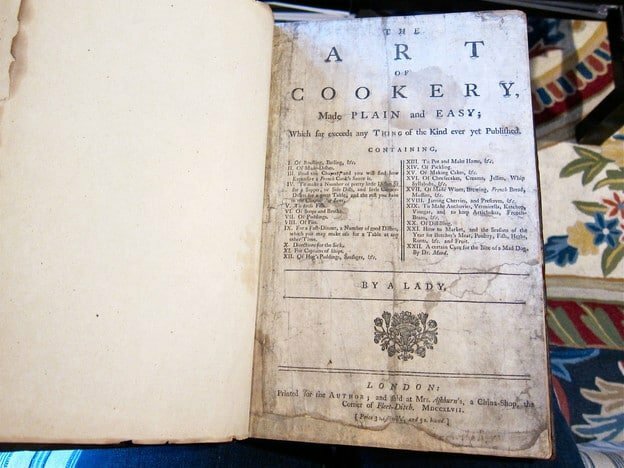 My hands shook a bit when Anne handed me a first edition of an important early British cookbook from 1747, The Art of Cookery Made Plain and Easy by Hannah Glasse. I’ve been using a scanned reprint as a research aid for the last decade. It was really something to hold an original copy in my hands. Anne’s generosity in allowing me to explore her cookbook collection is not surprising. 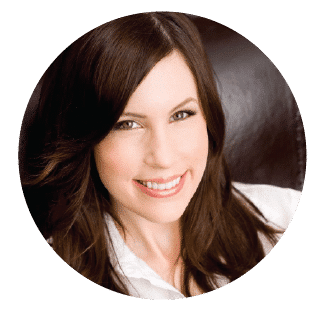 She has dedicated her life to sharing knowledge and spreading the love of cooking far and wide. To think that her books brought us together—both the books she’s written and the books she’s owned—it all reinforces my belief in the greater cosmic order of things, somehow. I could think of no better way to honor this experience than by baking one of Anne’s favorite recipes from One Soufflé at a Time. I decided on petits financiers, the buttery almond pastries we enjoyed over tea. They are made in the shape of gold bars, a fitting tribute to an experience I will always treasure. To purchase Anne’s book One Soufflé at a Time click here. To purchase The Cookbook Library click here. To learn more about Anne’s limited edition tribute poster tracking cookbooks across four centuries, The Cookbook Tree of Life, click here. A cookbook's journey from Anne Willan to Tori Avey. 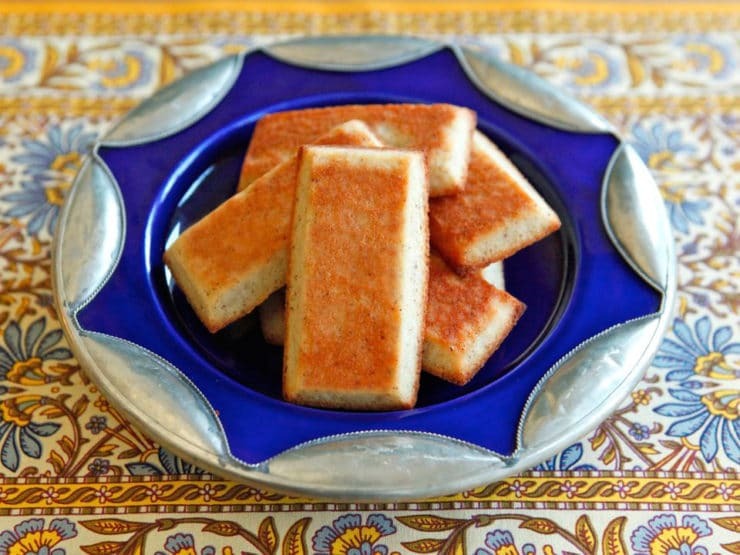 Read about Anne's memoir One Soufflé at a Time and try her recipe for Petits Financiers. Financiers are traditionally baked in special bar-shaped molds, though boat molds can be substituted. 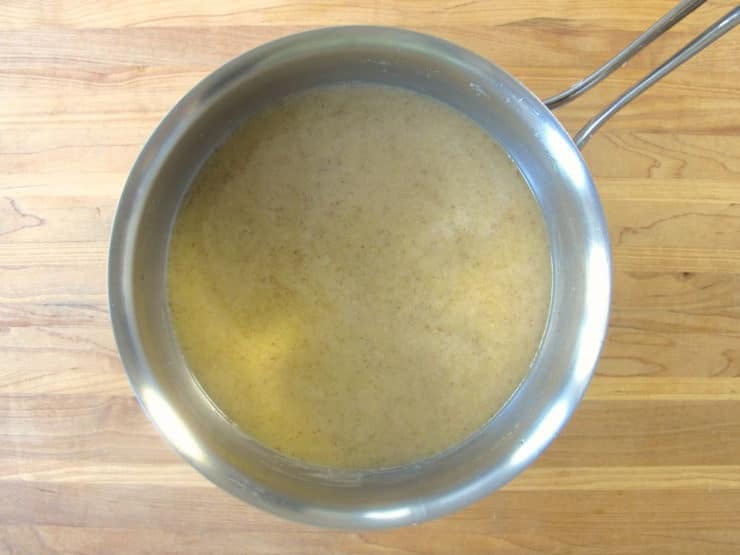 The color of the cakes is intensified by browning the butter to beurre noisette. To learn how to blanch almonds, click here. To purchase the mold used in this tutorial, click here. To brown the butter: Have a bowl of cold water ready. 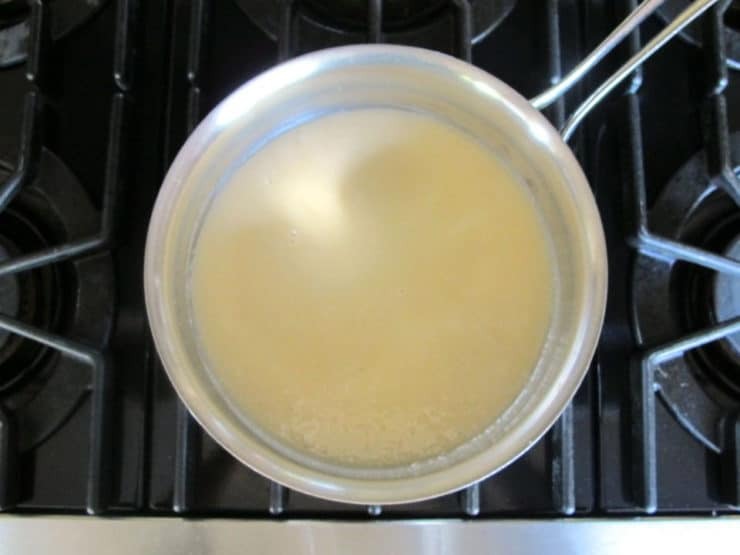 In a small saucepan melt the butter and heat until it stops sputtering, stirring often to prevent the milk solids from burning. 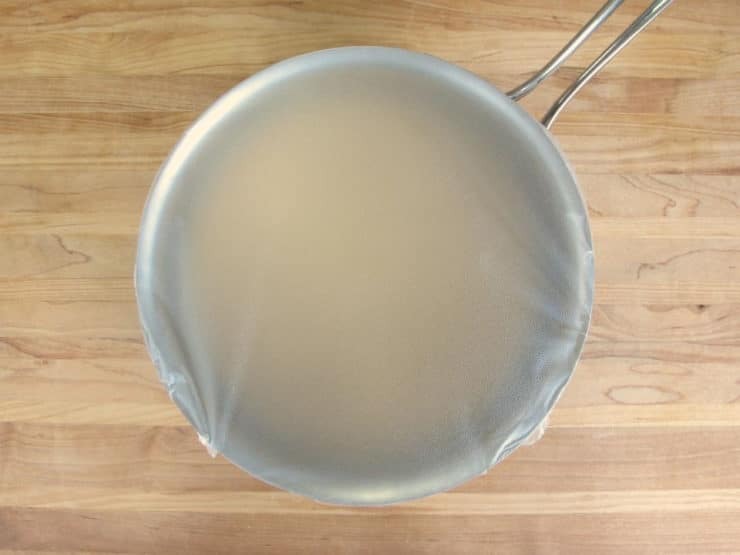 When the milk solids at the bottom are lightly browned and the butter has developed a nutty smell (and flavor), remove from the heat and plunge the base of the pan into the bowl of cold water to stop the cooking – it will scorch very easily. Let it cool to lukewarm. 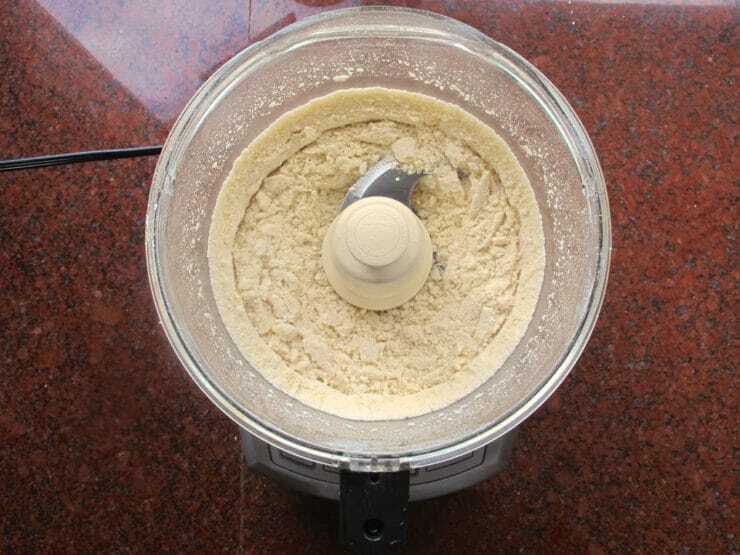 To grind the almonds, put them in a food processor with the flour. Work with the pulse button until finely ground, 40 to 60 seconds. 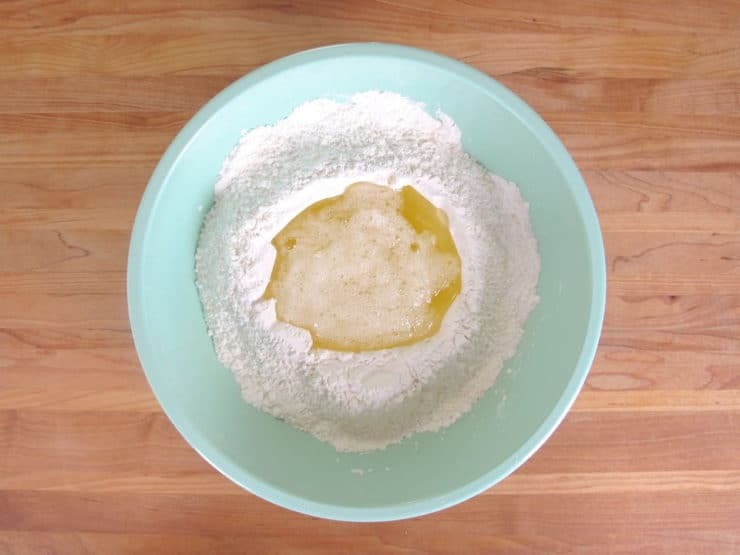 Put the almond and flour mixture into a bowl, stir in the powdered sugar and make a well in the center. Whisk the egg whites until slightly frothy and pour into the well. 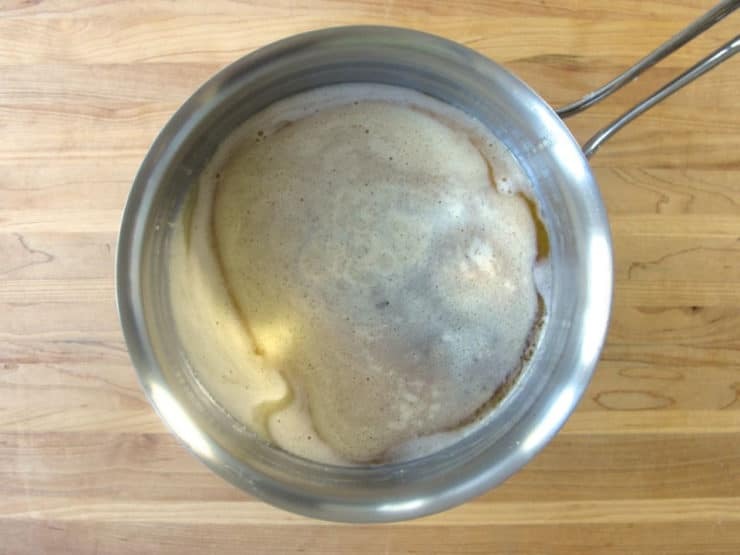 Put the mixture into a heavy-based medium saucepan, set it over low heat, and stir constantly until the mixture is just warm to the touch. 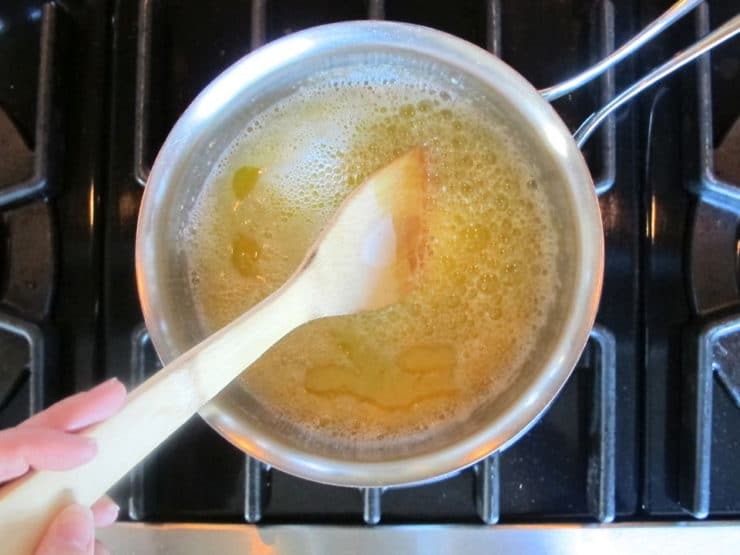 Take the pan from the heat and stir in the brown butter. Be sure to mix very well so that the mixture is completely homogenous and smooth. 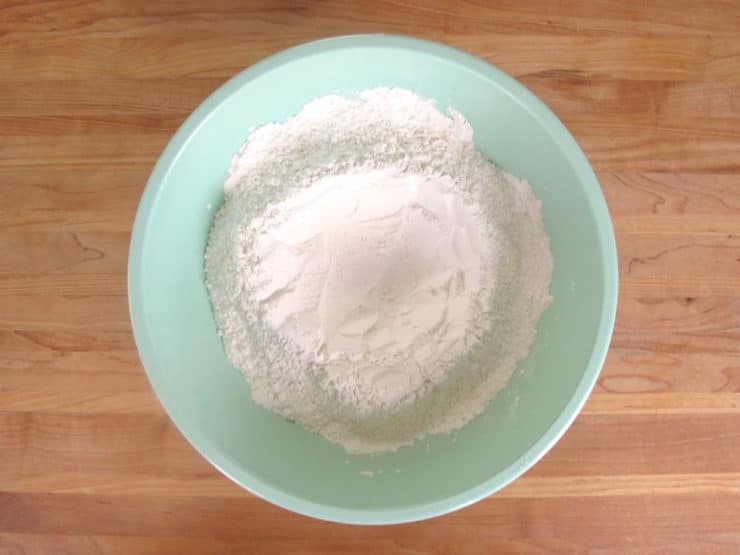 Cover and leave the batter to stand for 4 hours at room temperature so the flour softens and the financiers bake more evenly. When 4 hours have passed, preheat the oven to 425 degrees F and place a rack in the center of the oven. Butter the financier mold generously with melted butter and chill until set. Sprinkle the mold with flour and tap on the counter to remove the excess. 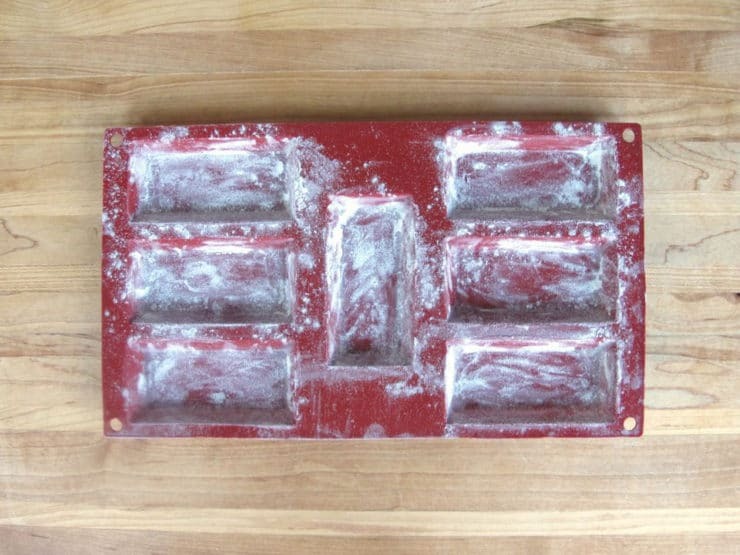 Place the mold on a sheet tray. Pour the batter into a pitcher and fill the mold nearly to the top. 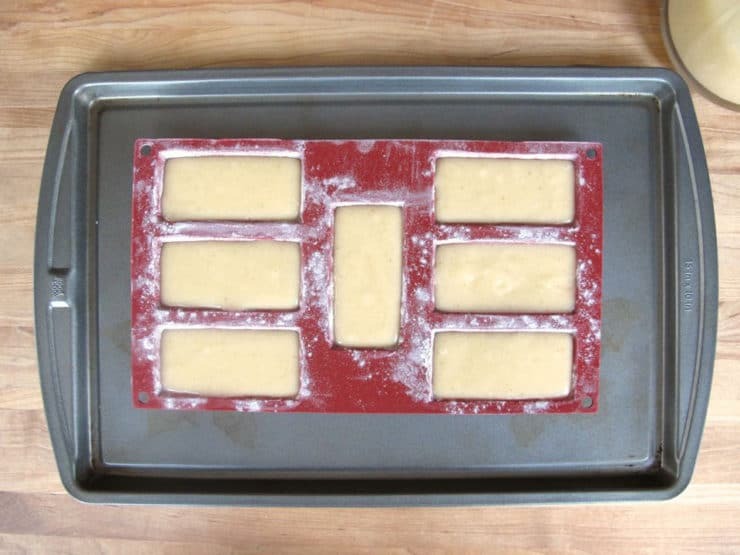 Be sure that the batter is spread evenly in the molds, otherwise your financiers will not bake evenly across the top. 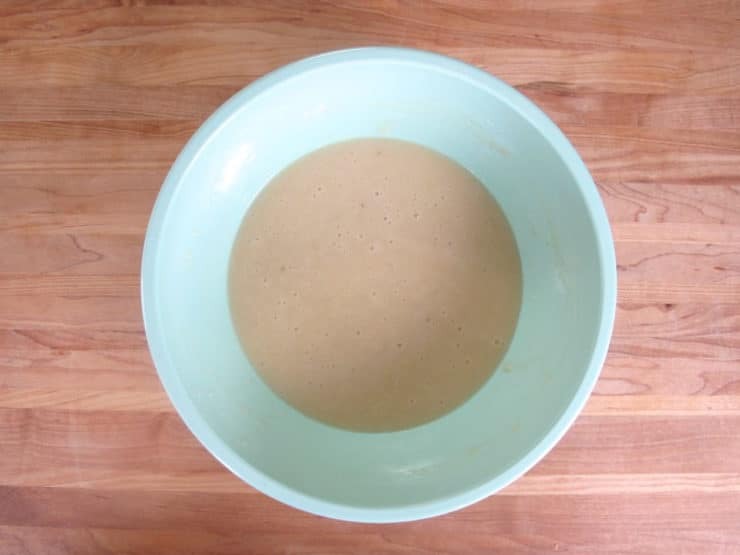 Set the mold on a baking sheet and bake in the oven for 12 to 15 minutes, until the financiers are risen, golden brown, and firm when lightly pressed with a fingertip. Unmold them onto a rack and leave to cool. Bake the remaining batter in as many batches as necessary. Your financiers can be kept up to a week in an airtight container, or frozen, and the flavor mellows. I’ve been a fan of yours for quite some time. I’ve tried a few of your recipes, too. I made your Mushroom Barley Soup for my husband and daughter several years ago. I lost my husband two and a half years ago and now I rarely cook; but today I followed your chopped liver recipe for my “Italian Stallion” trainer who went to UCLA and ate it in nearby delis. I only used 2/3 of a pound of chicken livers and used 1 1/2 HB eggs. It still was dry, so I added a couple tablespoons of water to the food processor. No smaltz or cracklings of skin. !He ate til he was full on crackers and butter lettuce cups. It was delicious. so thanks!!! Then I came across your dialogue with Anne In the mid 1970’s on my first trip to Paris I took a one-day class at La Varenne. I’m ordering her memoire thanks to you. On another note, your link to the silicone pans for the almond cakes didn’t take me directly to them but to 8 or so pages of your favorite things. I wish it had been more direct. IBy the way are you a member of the Jewish Food Yahoo group? If you’re not look it up. So happy you’re enjoying the site Harriet. I used to be a member of the Jewish Food Yahoo Group, but I rarely visit anymore because my time is quite limited. It’s a fun, informative group! Wonderful recipe, best yet. 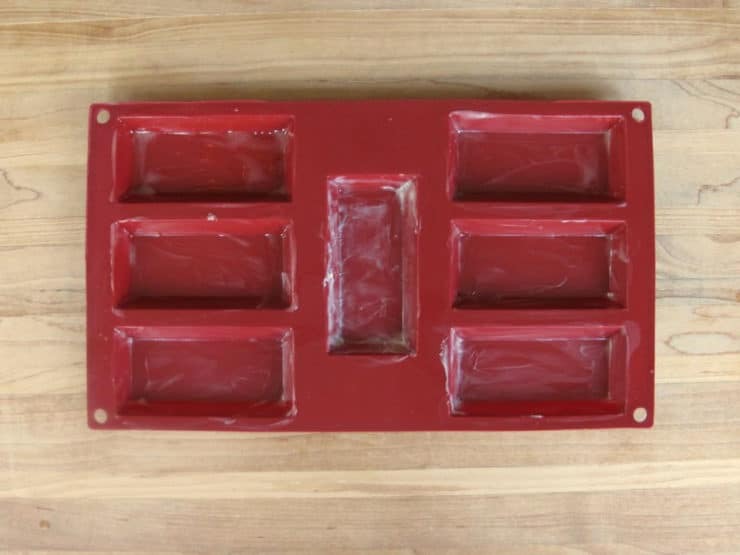 I didn’t have rectangle molds, used mini-muffin tin, WORKED GREAT. Took a bit longer (5 mi. ?) to bake due to depth of mini muffin tin; also sprinkled a few carmelized sliced almonds on top prior to baking. 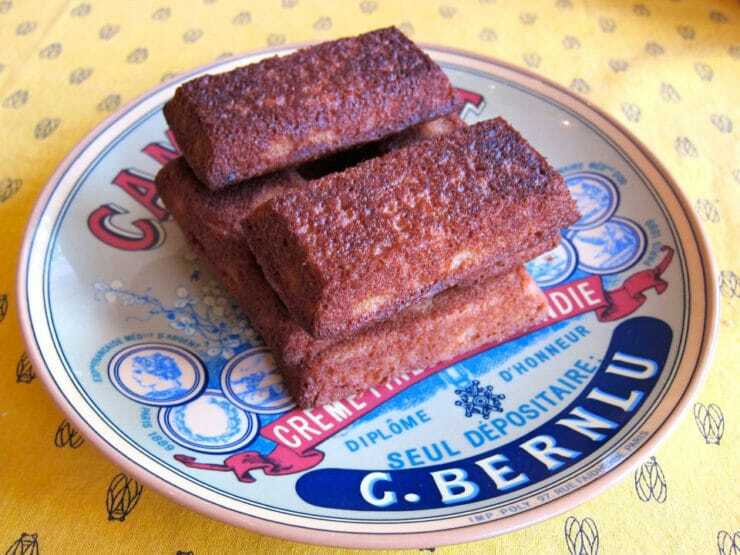 I fell in love with these little almond cakes while living in Paris for a few years. Thanks for sharing your wonderful Ann Willan experience. What a wonderful story! I had the good luck of attending a personal chef conference in Charleston, SC and Anne was the key note speaker. A gracious, charming woman with a delightful sense of humor. I cherish my signed copy of her “Country Cooking of France” and the time I was able to spend with her. What a nice story, I really like Anne Willan’s French cookbooks and one of my most beloved pear cakes started its life there, we have our own amendments but I still start with her book. Classic. Looks awesome but an incredible amount of time and effort to make. Not something I will ever try making but looks impressive. I used to make these at a bakery I worked at. We made them in rounds as little cakes with blanched almonds on top as a garnish. I too collect antique and vintage cookbooks and love great finds! Great Find Tori! That is really something. I am a serious cook, and she is a serious icon in the cooking world. Lucky you! 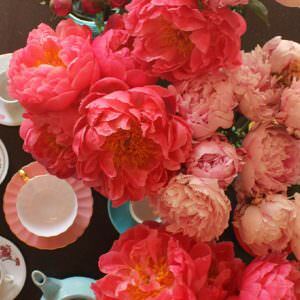 I love your page. 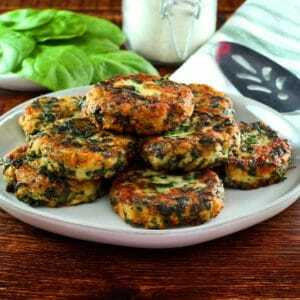 I am going to have to try these! My Francophile mother will love them!